Anyway, the actual problem begins when the user receives the mail. You see, most inboxes are designed to show only the display name (Nike, in this case), which creates an illusion of legitimacy. Make sure you always check the actual address and research it on Google to determine its legitimacy. Also, you can configure your email viewers to show you the full email address of message senders. LuxSci supports this as a preference in its WebMail interface. By seeing the full email address, you can be more skeptical when that address looks “phishy”. 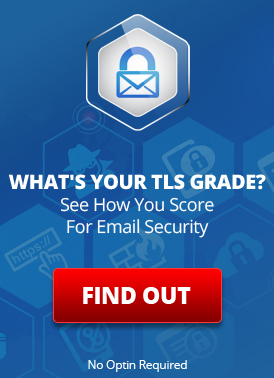 If you see links in an email, do not click them without running an investigation first. Start your investigation by hovering over the link to see if it directs to the right domain. If it doesn’t, you can be sure that you’re being scammed. Of course, you might wonder how one differentiates between a legitimate and fraudulent domain. If it’s a business that you patronize, you’re probably already aware of the legitimate domain name. However, if it isn’t your vendor or brand or name that you recognize, there is no need to bother with that mail anyway. Just put it in the trash. You don’t have to respond to random marketing campaigns. The same applies to downloading attachments. If it’s from a business or person you don’t know, don’t download it. If it is, investigate first. As a best practice, don’t open or click on anything that you are not expecting without asking or investigating. Email isn’t the first choice when it comes to urgent communication. If you find a mail that asks you to act immediately, you can often ignore it. Phishing scams often involve emails that induce panic and stir up your need to respond right away. The response here often involves giving away sensitive information. It’s a form of social engineering. Legitimate mailers will not usually do this (unless you have ignored previous less time-sensitive warnings) and if you are still concerned, install anti-malware solutions that send out in-app or in-program notifications. These programs will also monitor your email, web browser or messaging apps for threats. In other words, those panic-inducing emails can often go straight to the trash. If you are uncertain if the urgent warning is real … contact the sender. However, don’t use the information provided in the email, if you can help it. Call a phone number that you have or can look up on the web. If you are skeptical, do not trust phone numbers and email addresses provided to you in the questionable email itself. 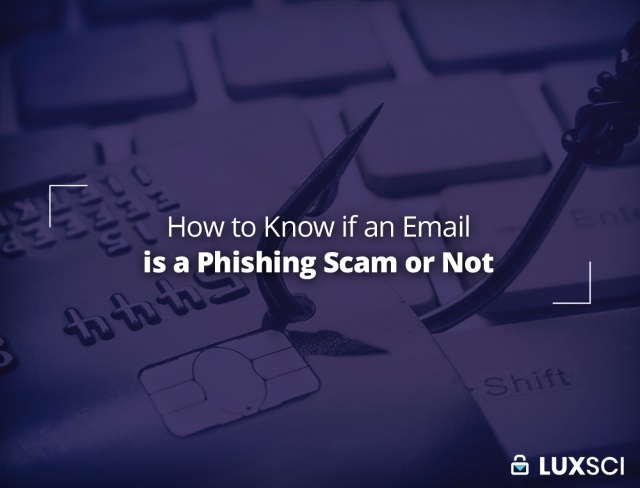 Identifying phishing scams isn’t an absolutely cut and dried process, because they evolve at a rapid rate and can be very targeted. So, it’s best to be generally skeptical. When it comes to information security, a healthy dose of skepticism is necessary. If you aren’t a 100% sure about the mail you’re receiving, it is best to put it in the trash or reach out directly to the sender via some other communications channel to check. It is always better to err on the side of safety and security. This entry was posted on Tuesday, November 20th, 2018 at 5:50 pm	and is filed under LuxSci Library: Email Programs and Devices, LuxSci Library: HIPAA. You can skip to the end and leave a response. Pinging is currently not allowed.